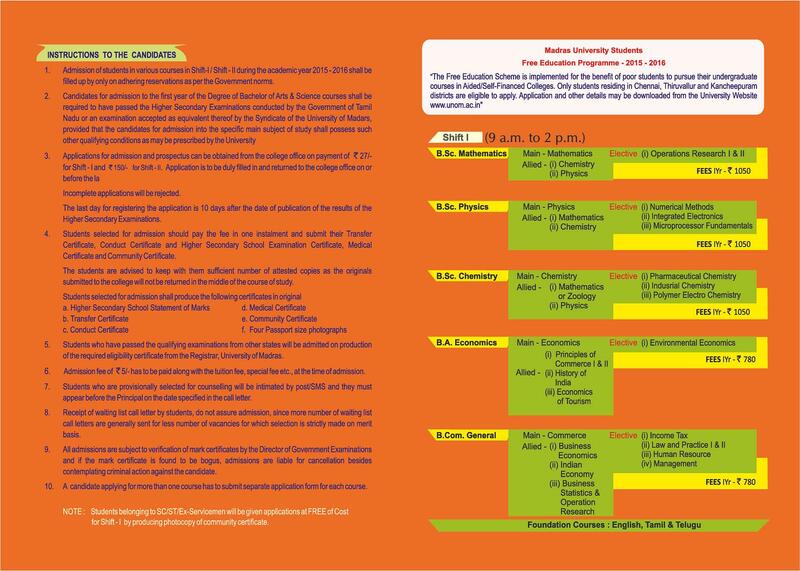 good college and good management .The fee structure is feasible and some scholarships are awarded to students based on caste.No placement in our college as it is a trust fund college part of a bigger college trust. But there will be some company memos on the notice board u might need to keep an eye on it. 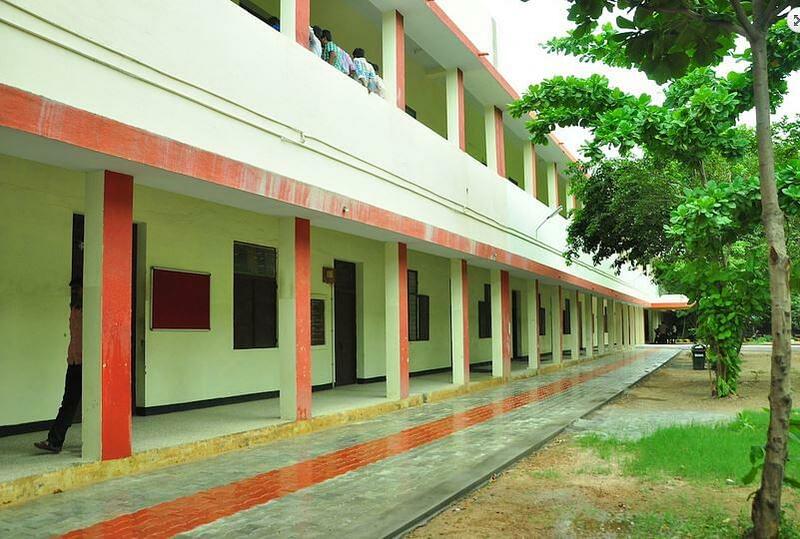 No hostel and mess in college . 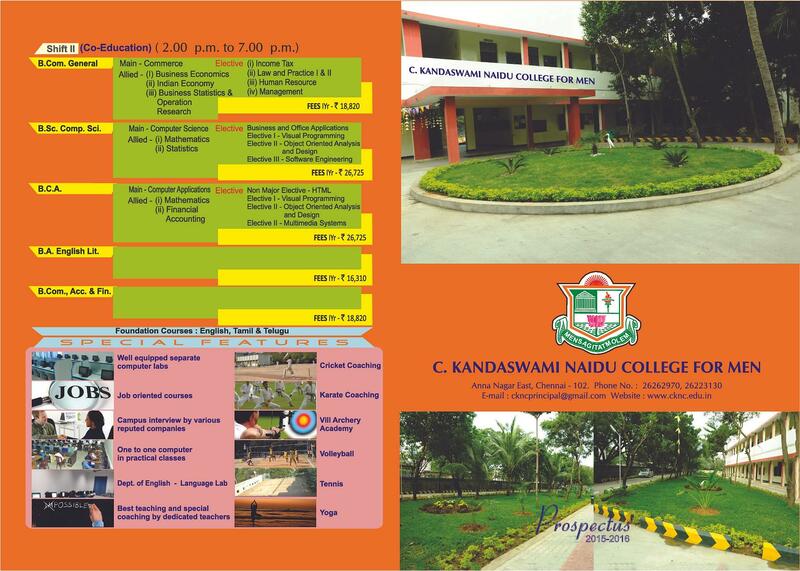 C. Kandaswami Naidu College for Men (CKNC)was established in 1967 with the prime objective of providing effective & efficient education. 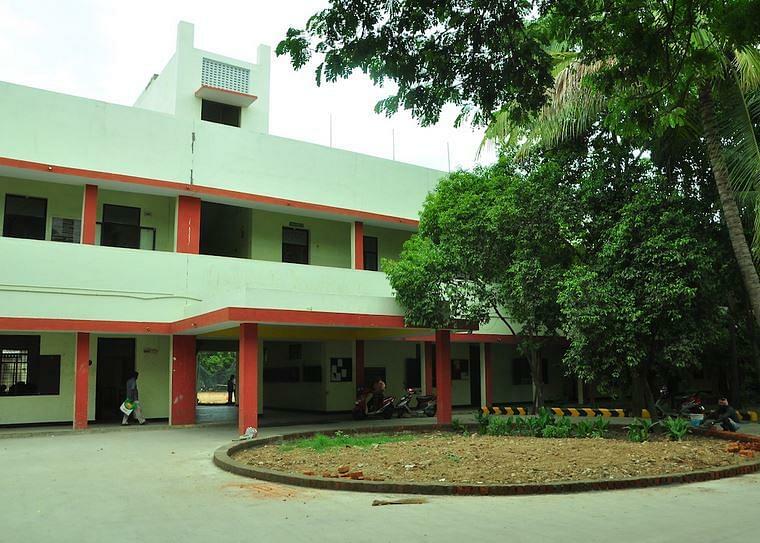 The college is affiliated to Madras University and is accredited by NAAC. 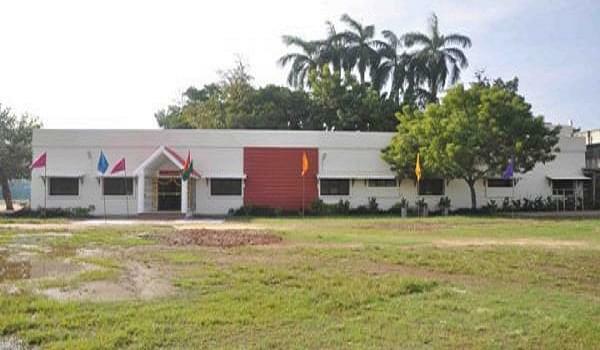 The objective of the college is to impart to students and education of the highest order in Arts and Sciences for their all round development. The institute aimed at creating well qualified and competent students to cater to the rising demand of such personnel across the globe. 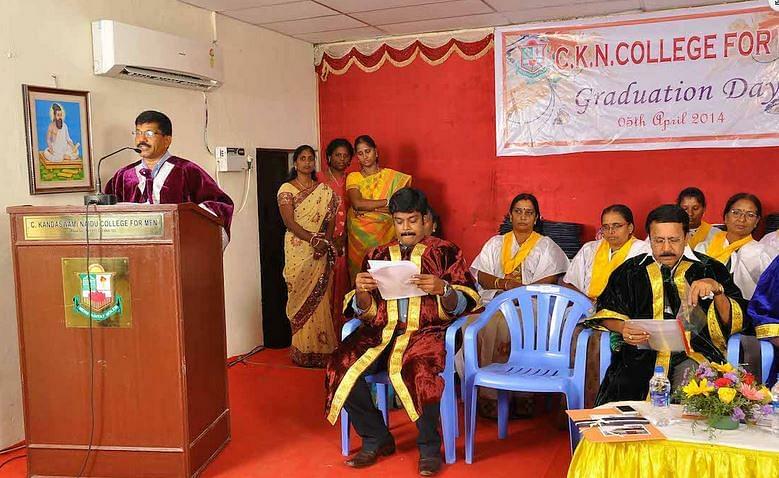 C.Kandaswami Naidu College For Men located in the heart of Chennai city has blossomed out of a rare combination of nobility, philanthropy and a deep sense of commitment to humanity of an individual. All the classrooms are well furnished. The college has a well-stocked library.